In a note to members, he writes that the WCA has met with the bill’s sponsor, Progressive Conservative MLA Reg Helwer. “He advised there is currently a window of opportunity for the industry to come together, discuss practical solutions to the payment issue and present a unified position on the draft legislation,” Hambley wrote. The General Contractor and Trade Contractor divisions held meetings last week (in early May) and agreed they would work together with the Manitoba Prompt Payment Coalition to see if consensus can be reached on improvements to Bill 218. The WCA is hosting information sessions over the next two weeks for some of the large construction owners. 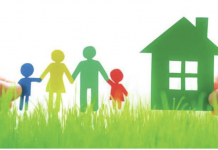 We are concerned owners have not been involved in this process to date, and we want to ensure they understand what prompt payment legislation is and hear their concerns. 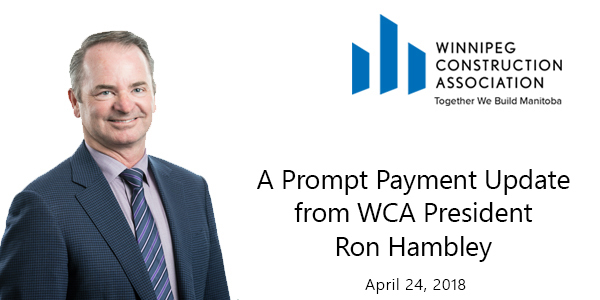 The WCA has committed to providing members with regular updates, like this, on the status of Bill 218 and our conversations with the Manitoba Prompt Payment Coalition.